There are a number of other features that will be quickly noticed by users. The overall look of an individual post is completely different. The like heart is at the very bottom and to share is at the top right. The “tray” of Instagram is now where you will find that it looks different as well. It will take time for some users to get accustomed to this. There are already car accident lawyers explaining how this could become an even bigger distraction than it already is. 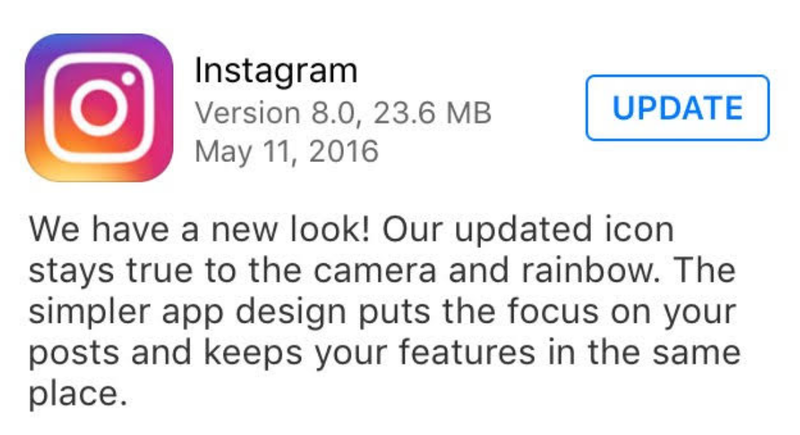 It will be interesting to see long it takes for users to express their overall opinion about the new Instagram. Personally, the logo is cool and the layout is much more white and clean. Will this affect how much I use Instagram? Likely not. Will it affect how much other people use Instagram? Possibly. What do you think about the new Instagram logo, layout and look? Is this a good update or do you think it will be something that turns users away?